What Happens When 2 people hook up on vacation, Marry and Have Kids? Believe it or not! People hook up on vacation and fall in love all the time. Unfortunately, relationships started on the road, usually don’t last very long. They either end soon after the trip ends or they fizzle out over time when the starry eyed lovers try to maintain a long distance relationship from opposite sides of the planet. Don’t let that sad fact stop you from finding love on the road because once in a blue moon, one of those romances started while travelling have a happy ending. And this is one of them. Meet Alyson, a nice girl from Wales who over a decade ago booked a adventure holiday which entailed a 5 day sailing trip on the Nile of Egypt aboard a felucca boat. 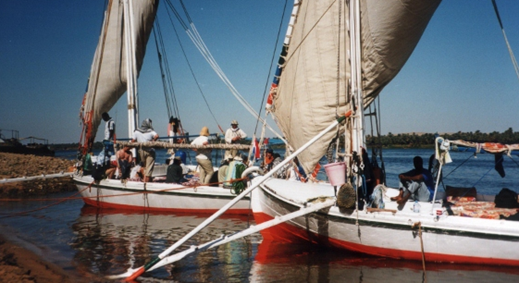 A felucca (Arabic: فلوكة‎) is a traditional wooden sailing boat used in protected waters of the Red Sea and eastern Mediterranean Sea in places like Sudan, Iraq, Malta and along the Nile in Egypt. These types of boats are popular among tourists because they offer a calmer, quieter mood over the noisier fast paced motorboats. Around the same time, 14 other people booked that very same adventure holiday, including a 21 year old Australian guy named James who was living in London to further his chef career. 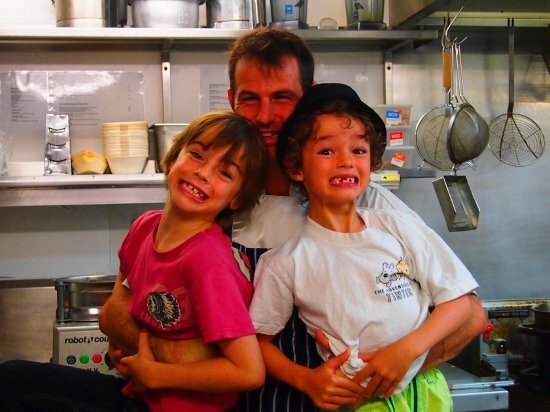 Today Alyson and James are married and have two adorable sons who apparently like to eat oysters because James is an executive chef and that’s what chef kids eat.. OYSTERS. But what happens when two travel addicts meet and fall in love? Do they stop travelling? Do they continue travelling? Do they retire to suburbia? Before I tell you what these two world travellers have planned, I thought it would be fun to share the story of where Alyson and James married. Tell me a little about where you are from! I am a Welsh girl from the valleys and James is an Aussie. 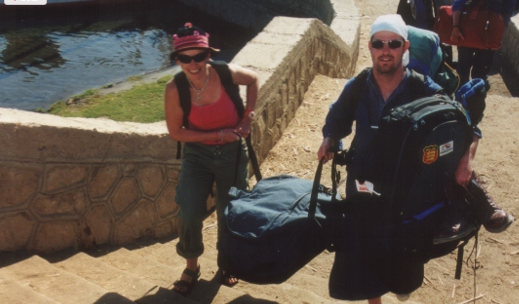 We met in Egypt, moved to England and ended up emigrating to Port Douglas, Australia in 2007. We have two children, born in London. Everybody in our family has British and Australian passports, except me. I’m all British, although, I could now get an Aussie one if I wanted to. Passports are really expensive to renew when there are 7 of them in the family! Why did you choose to get married in Sri Lanka? Getting married in Sri Lanka, on the beach at a hotel near Galle was an excuse for another trip! Because we met through travel, it was massively important to us and we particularly love the Indian Sub Continent. I’d been to Sri Lanka before and loved it. The Chef (James) had never been, so it seemed perfect. We weren’t interested in having a big wedding, although my Mum, Dad and God mother did come in the end, I’m glad they did. They had a brilliant time plus of course, we could slide in a week of diving in Maldives as a honeymoon! Did you do need special visas or have to do anything special to marry in Sri Lanka? Alyson’s white outfit was filthy black by the end of the day. No, nothing, it was all very easy. We actually cheated a bit and booked a wedding package through a luxury travel company where everything was taken care of for us. We just had to sign the certificate. It was our first time taking a fancy holiday like that, we’re very much budget travellers. How did you handle the language barrier? English is widely used in Sri Lanka but we do have two wedding certificates. One in Sinhala and the other is in English. What was the best part about getting married in Sri Lanka? I can’t see that happening in South Wales. We rode off into the sunset on her, such a gorgeous creature. I really love elephants. The ceremony itself was Buddhist based and we had our fingers tied together, lit oil lamps and did a thing with leaves for good luck. Riding off into the sunset on an elephant. I actually wish we’d organized it ourselves, rather than through the hotel. Some of the things included were rather cheesy, like the free hair do ( terrible) and the photographer/videographer ( even more terrible). I was also a little annoyed that the hotel charged us $200 for having the elephant there. I bet the guy who brought the elephant didn’t see much of that money. But the whole thing was great, kind of crazy great. We laugh now at the terrible photos and how absolutely filthy my white outfit was after bare back elephanteering. One of the things we love about India and Sri Lanka is the general crazyness. I’ve got a great piece of video that my Dad took of James toppling off one side of our elephant as she stood up. A Sri Lankan guy tugging on his leg to keep him on. I’ll put it on you tube one day! What’s Next For Alyson, James and Family? As of this writing, Alyson and family are getting ready to take an extended – open ended trip with THE KIDS starting in Asia. Here is what Alyson had to say. How Are They Paying For Their Long Term Trip With The Kids? Alyson and James have been working hard to meet their savings goals that will allow them to take their extended family trip. How have you prepared your sons for travel? From the day the boys were born, they’ve been hearing stories of our travels, playing with objects from all corners of the globe and seeing photos and films of amazing things. “We’re going to the Himalayas” seems normal to them. We home-school so we’re big on geography and world history. I think kids need to know something about where they’re going before they get there to get the most out of it so I introduce topics before we get there. It sounds silly but I made them watch The King and I before we went to Thailand just so they would be as blown away as I was to see real palaces and images of the king in the musical. I did try training them for trekking but I ended up carrying D up a mountain. We’ll cross that bridge when we come to it. When your sons are old enough, do you want them to travel as you have been able to do? Well, yes, I’d like them to, but I think there is a danger in exposing them to the world so young, they may be “over it” by the time they are able to carry a 70L pack. They may think of it as “Mum and Dad’s thing” i.e.. uncool. It’s something that actually worries me. I don’t want to spoil it for them but at this stage, the educational and fun benefits far outweigh any future issues. I’m hoping they’ll be conquering the world through travel blogging while other kids are still in school. 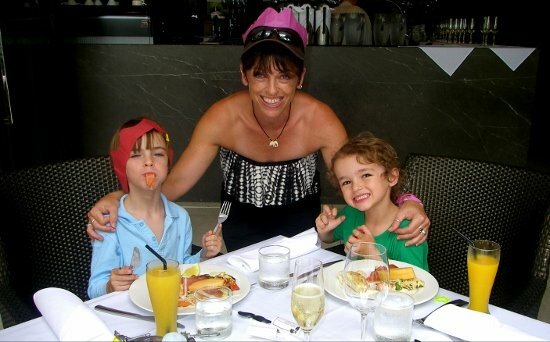 Do your two sons have British or Aussie accents or something in between? They both sound exactly like me, British. I’ve seen that in a lot of displaced families here. (Australia). The children have the Mum’s accent because they spend the most time with her. D went to school for 2 years and started to pick up a slight Aussie twang, but he’s now been home-schooled for 2 years and lost it again. We are a very mixed community. Hhis best friends have been from New Zealand, Texas and Swiss/British. Thy actually don’t encounter Australian accents that often. If you love to travel and are worried that travel will end once you have kids don’t because as Alyson stated, yes it may slow you down but it can be done with careful planning. What better way to to share and teach your children about the world beyond the comfort of their backyard. You can read more about Alyson’s wedding by reading this Finding Love Through Travel. You can follow along on their journey before they leave and while they are on their trip by visiting their travel blog at www.worldtravelfamily.com. Alyson and James are the 11th family to be featured in an ongoing series showcasing ordinary people; families and couples who are travelling full time or for extended periods of time. I Hope It Inspires You To Take Actions on all your dreams, not just your travel dreams. Want to get featured on this site like this family? Please fill out this form and I’ll post the story here..Know someone who should be featured? Send me an email annie[@]annieandre.com.